LG TVs are known for having great image quality, and their newest lineup of 2017 4k TVs proves that point. 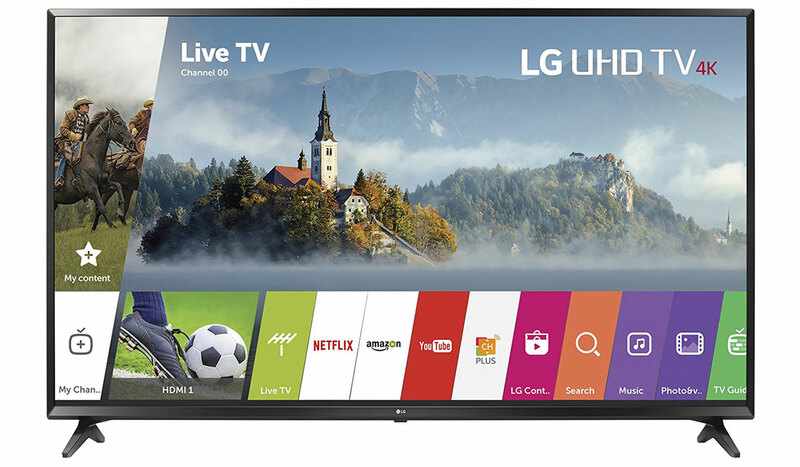 Right now, Amazon has got two hidden deals on the 43″ LG 43UJ6300 and 55″ 55UJ6300 4K Ultra HD Smart TVs with HDR (High Dynamic Range). The 43″ 4k TV has a list price of 549.99, but is on sale for $382.90. The 55″ set has a list price of $799.99, but is discounted to $596.90. Both of these prices may not last, and may vary according to Amazon’s pricing algorithms. To see the price, head over to Amazon, click on either screen size, and Add to Cart. Amazon is also offering free shipping with this purchase.